I am greatly struggling in either holding onto my marriage or learning to co-parent and divorce. 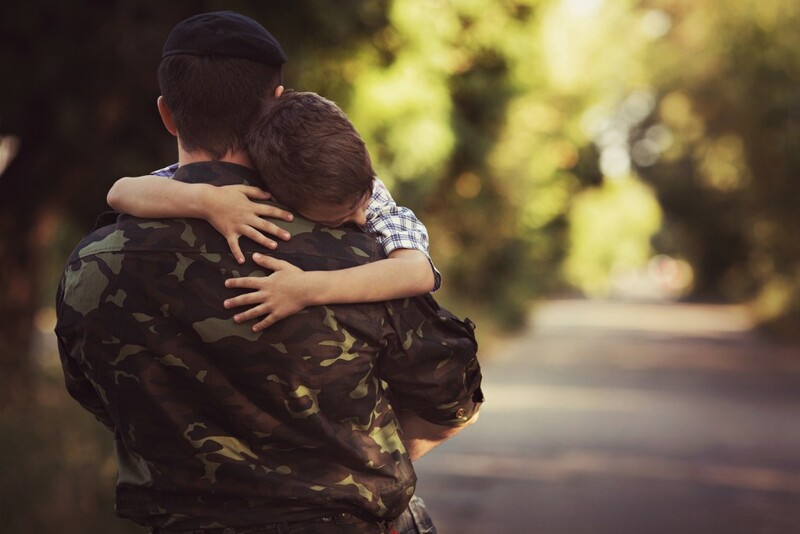 Recently, my husband has come to me and opened up a little bit about some severe posttraumatic stress disorder episodes he’s been having from his time overseas in the military. I have long suspected this has been bothering him but he denied it until about a week ago. He said he wanted to talk to someone so I did some research and connected him with a VA counselor, but he refused the appointment when it came time to go. After I became pregnant with our second child, my husband started a physically intimate affair with a work colleague. Through this I have seen my husband change into an angry, disconnected person who can go into a rage at a second’s notice. He is now in trouble at work, hasn’t given up the relationship, and has filed for divorce. I want him to seek help for the outbursts. I’m concerned about our 3 year-old and our new baby’s safety if he has a rage episode while they are in his care. Honestly I believe that we could work through this if he would just get help for his anger and cut the other woman off. I truly want to help him through this, but this emotional roller coaster is not good for me, it’s not good for either of the kids, and it’s truly killing our family. His job is our sole source of income as I’ve been a stay at home mom for 4 years. I have no idea whether I should hang in there through this or just leave and find peace. Even though your husband suffers from posttraumatic stress disorder (PTSD), your most immediate priority is the safety of your children and yourself. Perhaps you already know this, but I need to point out an important reality. If your husband is raging and aggressive in the presence of your children, and you fail to protect them, it could lead to serious legal consequences for both of you. You have some difficult decisions to make about how to protect your children and provide them with a safe and stable environment. Make sure you are counseling with others who can help you navigate these decisions. Family, church leaders, and professional counseling can help you determine the appropriate measures to take to protect yourself and your children. This may or may not motivate him to get the treatment he clearly needs, but that can’t be your biggest concern right now. There is good treatment available through trauma specialists that can help him heal and have the appropriate accountability for his behavior. However, your priority right now is to let your children know they are safe and won’t have to live in fear of their father’s aggressive outbursts. I have tremendous compassion for those who, by no fault of their own, are traumatized by the brutality of combat. Their bodies and minds are constantly under stress, which makes it difficult to tolerate common stressors in families and other relationships. However, even though you know the reasons he’s become a different person, if he isn’t going to create safe conditions for these children, you have to. The reasons don’t matter when it comes to safety. I realize you have so much to worry about, as he’s headed in a direction that is dismantling the very foundation of your marriage and family. While you can put your foot down and demand that he stop his affair and begin behaving in a more committed way, his untreated PTSD will continue to produce ongoing spot fires that will have you running around futilely trying to create containment. Your husband needs help and you need to structure your environment with your children in a way that protects them until he’s a safer person. He needs to understand that even though he may have serious emotional injuries from his military service, the fallout from these actions will create conditions that may separate him from his most important relationships. Before you decide if you can stay in this relationship, first structure your environment so you can get more clarity about your next move. Please recognize that your husband may or may not see how serious his condition is once he experiences you taking measures to protect yourself and your children. You want to keep your family together, so take the necessary measures, as difficult as they may be, to show your husband and your children that you aren’t going to allow these behaviors to hijack your safety and security. You’ll make better decisions about your future when you’re not in the daily cross-fire of ongoing betrayals. Look into the Emotion Code! It can help with PTSD and everything else. It was developed by an LDS chiropractor and there are many practitioners to choose from. There aren't any negative side effects so there's nothing to lose.